Dan is a professional trumpet player and an accomplished conductor, having earned Bachelor of Music, Music Education and Master of Music Degree from Boston University and later holding the position of the Doctoral Fellow in Trumpet at the University of North Texas. He has also taught at the Sydney Conservatorium of Music as Lecturer in Trumpet. 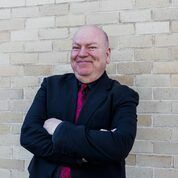 Dan has worked professionally with the Sydney Symphony Orchestra, Australian Chamber Orchestra, the Australia Ensemble, Brandenburg Ensemble, the Australian Opera and Ballet Orchestra. He has played all over the world in musicals such as Cats, Phantom of the Opera, Showboat, Les Miserable, Sound of Music, Singin’ in the Rain, West Side Story, Evita and Crazy for You. Most recently Dan has worked with the Kings School and is now Head of Bands at Waverley College. Dan was appointed Music Director of Karingal Concert Band in 2017 and immediately brought his love of music and pedagogy into our organisation.